I have been fascinated for some time now about the potential for economic development in Myanmar when sanctions are lifted and markets open for the first time in decades. Historically Burma was one of the wealthiest markets in South East Asia, and was renowned for its resources and the high literacy rates amongst its people. 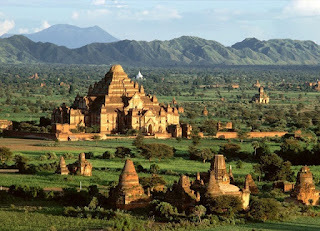 Unfortunately 60 years of economic stagnation, isolation and internal conflict has had its effect, and Myanmar today has a GDP per capital amongst the lowest in the world at US$1300, and more then 30% of its population scrape a difficult existence under the poverty line (https://www.cia.gov/library/publications/the-world-factbook/geos/bm.html). The situation also extends to services such as telecommunications and banking. 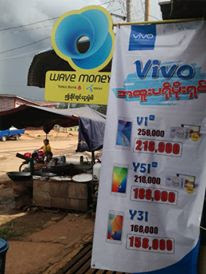 Mobile telephony is a luxury only for the rich, with mobile penetration of only 1.4% in the population of 54 million (http://www.budde.com.au/Research/Myanmar-Burma-Telecoms-Mobile-and-Internet.html). Banking is tightly controlled and burdened by international sanctions and concerns with money laundering. Access to finance is restricted, with high credit rates both formally and informally, and limited microfinance programs. Organisations such as UNDP, Grameen Trust, GRET and Care have all implemented microfinance programs, however challenges are abundant, including inflation, a distrusted and highly variable currency, and lack of a solid regulatory framework. Interestingly, micro-finance programs in Myanmar do not generally run savings mobilization programs which are increasingly seen as a necessary buffer against credit markets by providing a cheap source of capital. Microfinance as a whole is reaching only around 500,000 clients, with a total loan portfolio in excess of US$30 million (http://www.mm.undp.org/HDI/MICRO.html). So as the political climate in Myanmar changes it has some significant challenges, including financial sector reform, opening up its markets to international competition, and stabilization of the economy. The government appears to be already thinking about how they can accelerate development, and in late January announced an agreement with the Singapore government where there will be a transfer of knowledge and training on financial sector reform (http://www.channelnewsasia.com/stories/singaporelocalnews/view/1179855/1/.html). This is a positive step, and will hopefully help to provide a foundation for the development of a financial and legal framework that will attract investors. So what could the future for mobile money be in the development of the last frontier in Asia? Studies have demonstrated that economic growth of a country can increase by 1% with every 10% increase in mobile penetration. As we have seen in all emerging markets, this growth will come from prepaid accounts, and development of a nation wide distribution network. It is without doubt that as the economy opens up in Myanmar, so too will mobile penetration increase as international and domestic providers establish new companies targeted at the 98% of Burmese today without access to mobile telephony. What an opportunity to bundle this growth in mobile penetration with increased access to finance and formal savings channels. All Burmese could be issued with a mobile money account backed by reputable financial institutions at the same time they purchase their first prepaid SIM. Agents could be trained in provision of mobile banking services as they are activated by mobile service providers, establishing a nationwide interoperable agent network that would integrated into existing micro-finance programs, and provide the foundation for much larger initiatives. So what would need to happen for this to occur? Firstly, the current government will need to recognise the economic value of mobile penetration, and ensure that financial sector reform includes recognition of the needs of unbanked Burmese today. As regulations for reform are developed, they could integrate telecommunications and financial sector objectives, with a goal of achieving financial inclusion for all Burmese. New telecommunications entrants could have financial inclusion objectives included in their license grants, and new banking entrants could be required to find ways to provide financial services to all Burmese in return for access to the economic boom that is likely to occur over the next decade. There are many challenges ahead for Myanmar, and the road to political freedom and economic development is certainly difficult. It is my hope however that as this market opens, foresighted mobile operators, banks, government and development organisations align to create an integrated mobile money ecosystem that will truly accelerate growth and improve the lives of millions of Burmese. I will continue to watch Myanmar with great interest over the coming years. Very encouraged to read this Brad! Having lived in Rangoon for 3+ yrs growing up (DPL), Myanmar one country is very close to my heart among all the rest of the S.E.Asian countries I had the good fortune to grow up in. Myanmar does seem to be in a unique position. They have the possibility of shaping a profitable, inter-operable MM environment for agents and operators alike. The main beneficiaries would be the people of Myanmar. It will be key for development agencies to engage the government quickly to help them understand how they can steer this process. They are starting with a blank page which is unique, exciting and I hope the opportunity is not missed. Increasing numbers of developing country governments are formulating financial inclusion strategies. This could be the place to start and could be the framework that guides the government as new entrants come in.